If you're a fan of Harry Potter and LEGO, today is your Black Friday. 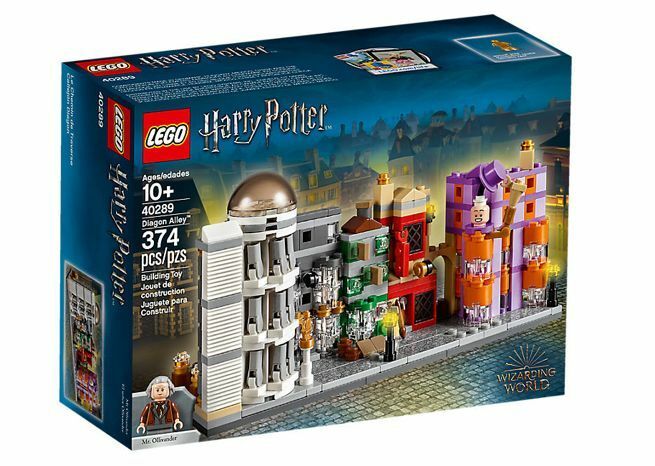 That's because LEGO is offering the 374-piece Diagon Alley set for free with any purchase over $99 until 11:59pm EST November 21st or while supplies last. But that's not all! 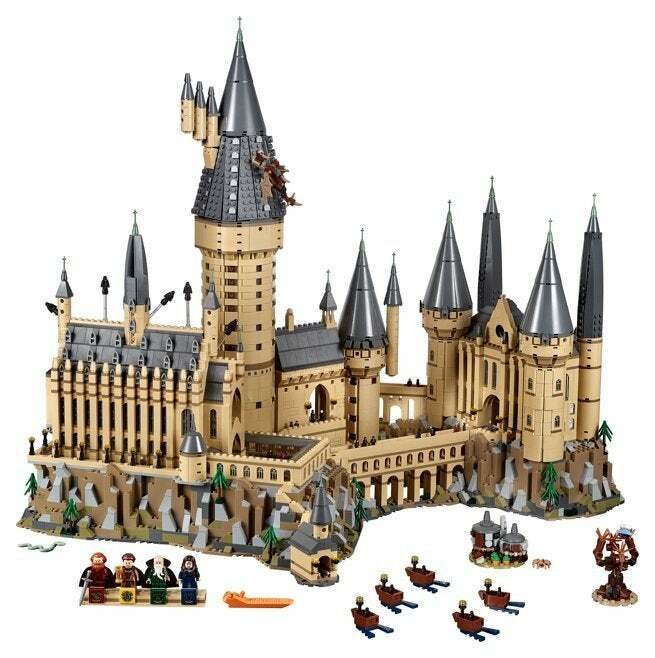 LEGO's 71043 Harry Potter Hogwarts Castle set includes a whopping 6020 pieces, which is second only to the Star Wars Ultimate Millennium Falcon set with its chart topping 7541 pieces. You can order one right here for $399.99. The massive Hogwarts Castle set includes towering towers, turret-y turrets, chambers, classrooms, creatures, the Whomping Willow, Hagrid’s Hut, and more. Four minifigures of Godric Gryffindor, Helga Hufflepuff, Salazar Slytherin and Rowena Ravenclaw are also included, along with five Dementors, and twenty-seven microfigures of students, professors, and statues. The official breakdown of features can be found below. Also features 27 microfigures: Harry Potter, Ron Weasley, Hermione Granger, Draco Malfoy, Albus Dumbledore, Professor Snape, Professor McGonagall, Remus Lupin, Professor Dolores Umbridge, Argus Filch, Lord Voldemort, Bellatrix Lestrange, 3 students from each of the 4 houses, 2 chess pieces and the Architect of Hogwarts statue and 5 Dementors, plus Aragog the spider and the Basilisk figures, and a buildable Hungarian Horntail dragon. Features a buildable microscale model of Hogwarts Castle, hut of Hagrid, Whomping Willow tree and 5 boats. Hogwarts Castle features the Great Hall with buildable ‘stained glass windows’, house banners, benches, tables, flaming torches and moving staircases; potions classroom with racks of jar elements; Defense Against the Dark Arts classroom with assorted potion jars, gramophone and a closet containing a boggart; Chessboard Chamber with chess piece elements; Room of Requirement with assorted elements, including the Goblet of Fire and the vanishing cabinet; Chamber of Secrets with the Basilisk and Tom Riddle’s Diary; hidden Devils Snare room with vine elements; Gryffindor common room with fireplace and seating; Professor Dolores Umbridge’s office with desk, chair and pink furnishings; library with bookcase and desks; and Professor Dumbledore’s office with the Griffin statue entrance and Memory cabinet. The Whomping Willow includes the buildable blue Flying Ford Anglia car in its spinning branches. Take a seat in the Great Hall and feast with the Hogwarts professors and students! Sneak your way into the Chamber of Secrets through the secret entrance and face the Basilisk! Accessory elements include the Sword of Gryffindor, Helga Hufflepuff ́s cup, wands, potions, house banners, flames, a cauldron and 2 magnifying glasses. Microfigure accessories include 2 chess statues and the Architect of Hogwarts statue. Hogwarts Castle measures over 22” (58cm) high, 27” (69cm) wide and 16” (43cm) deep.